Thabo Jijana, budding writer and author of Nobody’s Business, does not belong to the Rainbow Coalition’s so-called ‘born free’ generation. Nonetheless, he tells a very vital story in his memoir, not only about the rather untimely death of his father, Fundisile Jijana, but also of the ongoing strife that has plagued attempts by the government of South Africa to formalise its multi-million rand taxi industry. The taxi industry in South Africa is said to cater to over sixty percent of the country’s teeming commuters. Jijana’s father, who was called ‘Mzalwane’ by his colleagues at the taxi ranks, worked in the industry, and was murdered 4 July 2003. By speaking to those who knew Mzalwane most, Jijana tries to figure out how and why he was murdered. In the process, Jijana uncovers the history of violent conflict and systemic corruption that has pockmarked the largely black-owned, black-operated taxi industry since its ‘blanket deregulation’ in 1987. Determined to find out who killed his father, Jijana discovers – after filing a Promotion of Access to Information Act request, on the advice of provincial South African Police Service (SAPS) spokesperson – that ‘somebody was arrested, but the case was subsequently withdrawn. An inquest was held and nobody was found to be responsible’. He shares the details of his discovery with his mother, Nokhaya Jijana, who admonishes him to ‘LEAVE IT THERE’. To understand the historical context within which Nobody’s Business was written is to begin to grapple with the scope and range of issues treated in Colleen McCaul’s book, No Easy Ride: The Rise And Future of The Black Taxi Industry, about the violent legacy of South Africa’s taxi industry. However, the outlook had not always been gloomy. In 1983, and over a decade before the fall of apartheid, transport business experts were proclaiming, ‘Minibuses do have their place in the sun’. Back then the view of the minibus taxi industry, which mostly operated illegally, was that it was destined to become the flagship of black entrepreneurship. Prior to the apartheid government’s policy of economic deregulation, which was initiated in 1987, black taxi operators, who mostly used private saloon cars as taxis, had to defy apartheid laws and strict regulations, which were for all intents and purpose prejudicial to blacks. The incontrovertible fact of the matter was that transport regulations – as embodied in the Motor Carrier Transportation Act (MCT) of 1930 – stipulated that in order to transport goods or passengers, one required permission from a Local Road Transportation Board (LRTB). In effect, the flawed system shut out over ninety percent of taxi permit applicants, as obtaining such permits was all but impossible for black operators who, falling under the discriminatory influx control system, could not prove they had good formal employment records, had lived in the magisterial districts as legally registered tenants, and were in possession of Daily Labourer’s Permits (DLP). In any case, even when these requirements were met, the quota system only allowed issuance of a very limited number of licenses. By design, the MCT Act was put in place to enforce racial segregation in the transport business and to protect a near monopoly held by the South African Transport Services (SATS). Yes, up to 1987, the South African public transport system consisted of buses (initially provided by municipalities and later by the private sector) and above-surface trains (state-provided), which were hopelessly expensive, inefficient and inadequate. It is against this backdrop that Nobody’s Business should be read, as a story which affirms the position of not a few observers of modern day South Africa, who insist the place of minibuses in the sun, has been anything but an easy ride. One shortcoming of Jijana’s story, even though he mentions in passing how he came to understand why it was that black people in short stories published prior to the 1970s never used taxis, is that he fails to account for what most likely was the primary reason for the inevitability of black taxis operating illegally, using private saloon cars and minibuses to transport passengers. Following the Soweto uprising of 1976 and fearing that continued intervention in the transport sector would result in heightened politicisation, coupled with sustained boycotts, the apartheid government commissioned an inquiry into transport deregulation. In 1977, the Van Breda Commission of Inquiry established that the country’s transport system was at an economic and industrial developmental stage, which demanded a move towards free competition. On the whole, that it took over a decade before concrete steps were taken to deregulate South Africa’s transport industry flies both in the face of logic, given that a sea of black commuters who were forced to live outside the city had to travel long distances to work each day and at a cost of up to 20% of their income. More importantly, there is the widely held belief that deregulation was done hurriedly and not implemented properly. 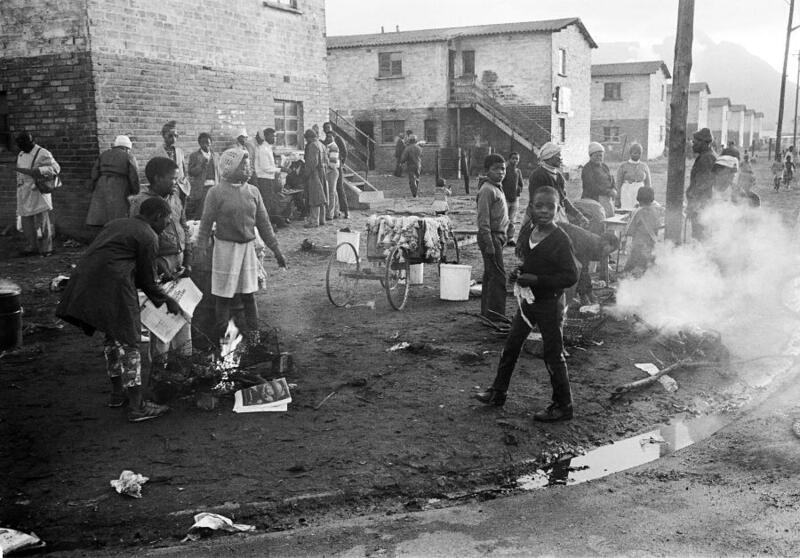 There were stern warnings from the South African Black Taxi Association (SABTA), official voice of the fledgling taxi industry, cautioning that the blanket deregulation proposed by the apartheid government was destined to result in chaos, as too many taxi operators would enter the market too soon, opening a floodgate which consequently would lead to widespread violence, as different taxi associations expanded virtually unchecked and as rivalry and conflict over ranks and routes followed such expansion. By the 1980s, which was adjudged to be the most violent decade in the history of apartheid and about the time when sunny projections were being made for the future of the minibus business, Jijana’s father, who was a government employee, driving a municipal bus, was attacked by township residents in Port Elizabeth and was only lucky to escape with his life. He decided it was time to call it quits. With his little savings and severance pay, he purchased his first taxi, a second hand Toyota Hiace – which was the signature model for the taxi industry, nicknamed ‘Zola Budd’ after South Africa’s Olympic runner – and began his own minibus taxi in the townships. It is pertinent we consider how Fundisile Jijana, a member of the Peddie Taxi Association, which is an affiliate of Border Alliance Taxi Association, in 2003, nine years after the end of apartheid and sixteen years after said rapid deregulation, was gunned down in a scrap between rival associations, the Border Alliance Taxi Association (Bata) and the Bhisho-King Taxi Association (Bhikita). Both associations had been forced to operate from a single rank and that sparked a taxi war, beginning with some intimidation which in turn led, as hostilities intensified, to Bata mounting an ugly stakeout, at King William’s Town market, in order to protect its hard won travelling routes and ranks. All these confirm that SABTA fears were founded. The curious reader will come to a realisation of how Jijana’s memoir is a story about informal politics and economics as it is about high politics and economics, and a pointer to the country’s yet incomplete transition from apartheid to democracy. It becomes apparent that beyond rapid deregulation, the development of ‘mother bodies’ (which is what taxi associations are called) has violently altered taxi operations. The reality today is that there is more money to be made from controlling a mother body than from operating a taxi. Mother body executives make the real money. In the absence of strict financial controls, association executives pocket much of the revenue that accrues to mother bodies. They benefit themselves instead of the country. They build big houses and drive fast cars while the rest of us suffer and don’t have access to water. They should be making changes in Diepsloot but it is getting worse. Dlamini’s statement was published in April, in The Guardian (UK), barely a month before the elections in May. Dlamini is a member of the ‘born free’ generation, those whose lives began after racial apartheid, and his interview revealed a young man who was turned off ANC politics and who was not quite upbeat about the elections slated for 7 May 2014, elections in which he was eligible to vote for the first time. Of an estimated 1.9 million people aged 18 – 19, a mere 646,313 registered for the 7 May election, a sign-up rate of just one in three. Folks like Thabo Jijana and Bonginkosi Dlamini force us to think really hard about the plight of the young South Africans growing up in the post-apartheid era. A 2012 study by the Institute for Justice and Reconciliation shows that only 35% of the youth think the ANC government is ‘doing well’ at job creation and just 9% disagree with the statement: ‘South Africa should forget about apartheid and move forward’. This is why to ponder these issues is to tap into the wisdom of the Alan Paton quote that serves us as epigraph while asking the question: is it anybody’s business whose violent stakeout it is? Nobody’s Business is a gripping story of a young man’s quest for truth, as well as search for self-discovery and closure. It is also a brilliant exposé of the failure of the ANC government to crack down on crime and criminal organisation.